Sign Up to Receive Your Free Practice Test! An introduction with info on taking the practice test and tips for doing your best. 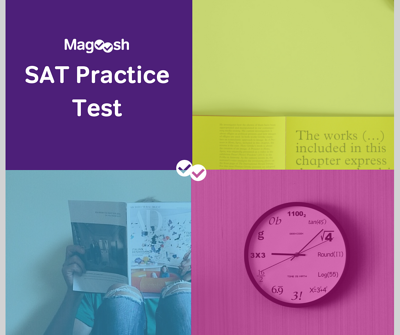 A full-length mock-SAT exam complete with 154 real test questions. Information on grading your SAT practice test, including an answer key and conversion chart. Text and video explanations for each question. Interested in our free SAT practice test? Just fill in the fields below!